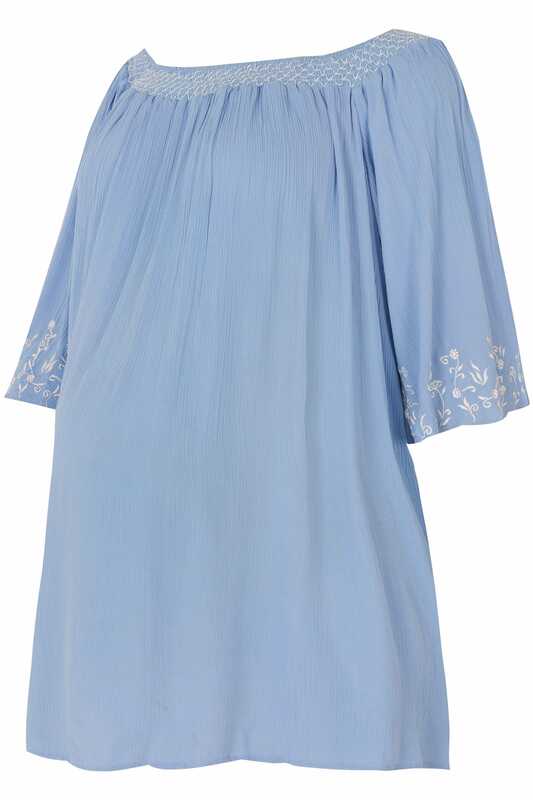 Add a touch of boho-chic to your maternity wardrobe with this top. 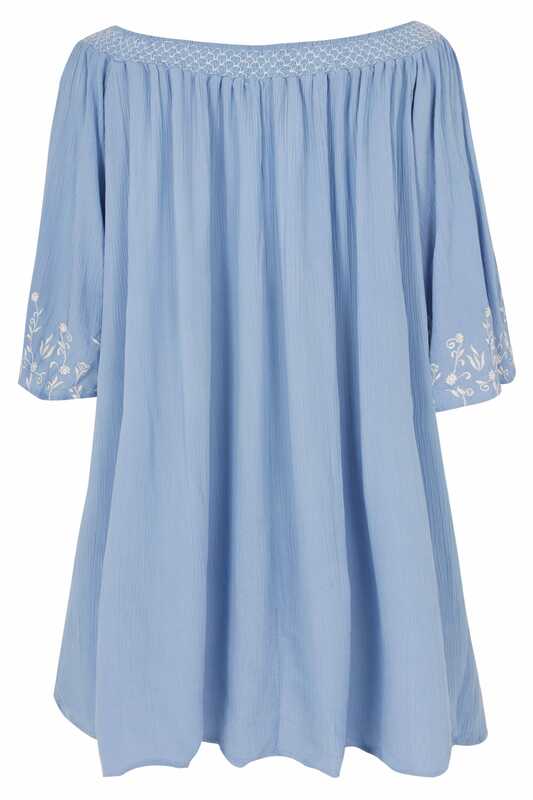 Made from a lightweight fabric with a plisse finish, it features a smock neck with an elasticated stretch for comfort. We are loving the elegant floral embroidery and contrasting stitching.